In his first novel Robert Knox joins his journalistic inquisitiveness with his engaging storytelling technique to bring to life the enduringly controversial case of Sacco and Vanzetti, one of the greatest causes célèbres in modern history. He draws on reporting skills honed while freelancing for the Boston Globe to follow his protagonist, Italian immigrant and professed anarchist Bartolomeo Vanzetti, through the minefield of 1920s anti-foreigner politics and a bigoted legal system. The reader will quickly realize that Robert is an experienced writer. His short stories, poems and creative nonfiction have appeared in numerous literary publications. He was named a Finalist in the Massachusetts Artist Grant Program in fiction for a story about his father: “Lost.” Robert’s story “Marriage” placed in a fiction competition held by Words With Jam and was published recently in the anthology An Earthless Melting Pot. Another story, “Love in the Other Place,” was published in 2015 in The Tishman Review. “Commitment” recently appeared in the debut issue of 3288 Review. His nonfiction story “Preparing A Place” was published in the 2015 winter issue of Lunch Ticket. 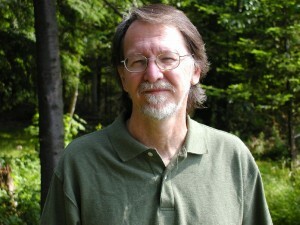 Robert’s online presence is seen in his blogs about gardening, movies and book reviews. His story of communal living in the late sixties, “House Mates,” was published earlier this year in the online Scarlet Leaf Review. A short story set in the last years of his mother’s life, “The Boat,” was published online by Every Writer’s Resource. No stranger to poetry, Robert Knox will publish a collection of poems entitled Gardeners Do it With their Hands Dirty (Coda Crab Books) later this year. Several of his poems can be read in the upcoming anthology Peace: Give it a Chance. His poems have appeared in Verse-Virtual, Guide to Kulchur Creative Journal, The Poetry Superhighway, Bombay Review, Earl of Plaid, Semaphore Journal, Scarlet Leaf Review, These Fragile Lilacs, Every Day Poet, Off The Coast and Houseboat. Robert majored in philosophy at Yale and earned a Master’s Degree in English at Boston University. He went on to teach English composition and literature at BU and other colleges. Robert Knox lives with his wife Anne Meyerson in Massachusetts. She runs a successful job-training program for the Boston YMCA. Their daughter Sonya works for the United Nations in Beirut, Lebanon. Their son Saul, who has a Master’s Degree in guitar performance and plays a mean blues guitar, gives lessons to aspiring musicians.